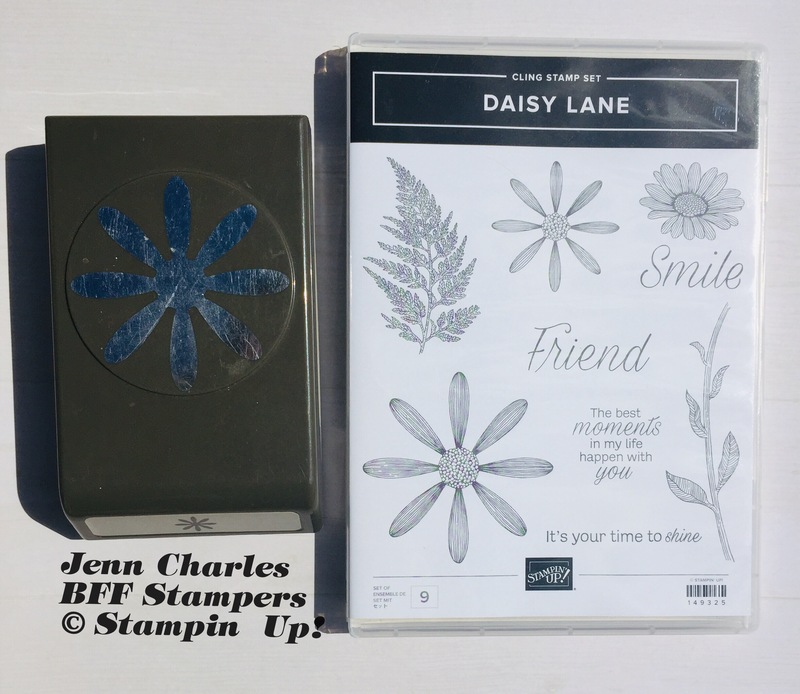 BFF Stampers | Stampin Up! 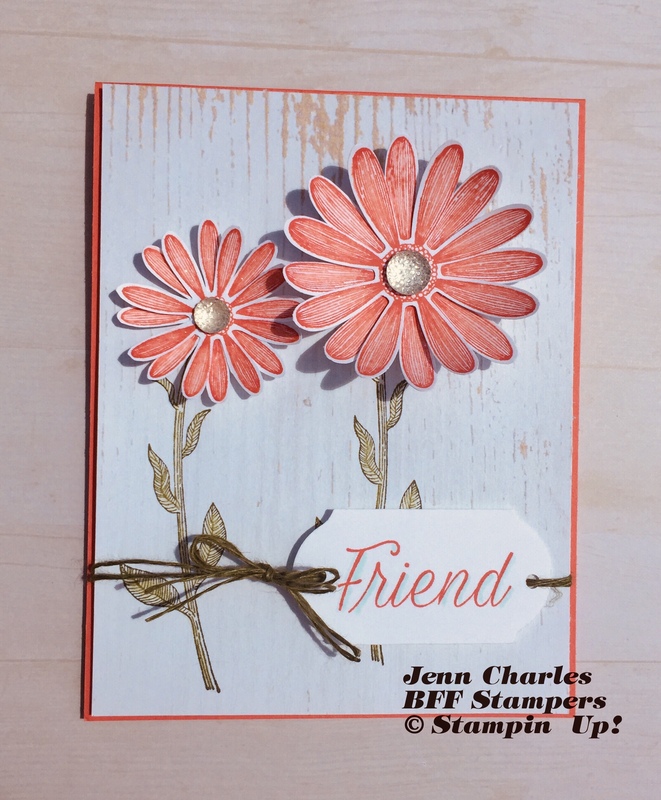 Independent DemonstratorBFF Stampers | Belief, Friends & Fun! 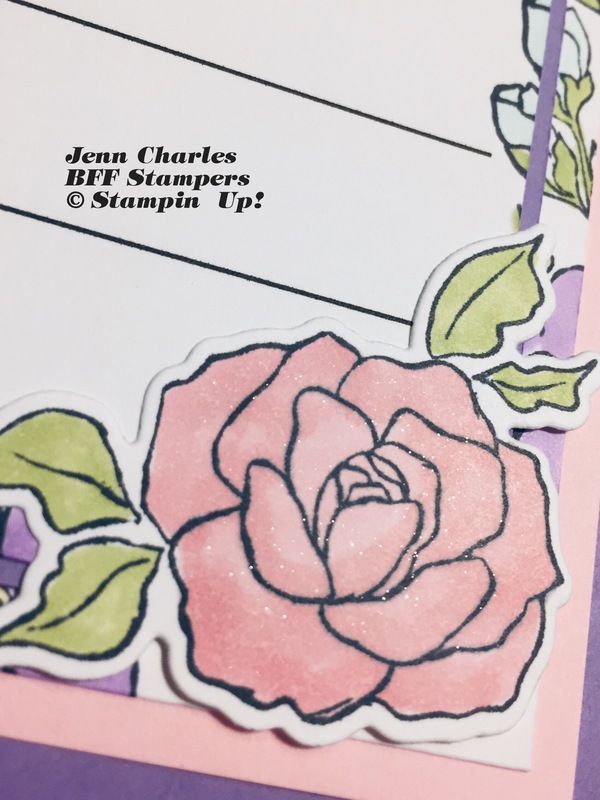 Stamp N’ Hop – Let’s get Girly! 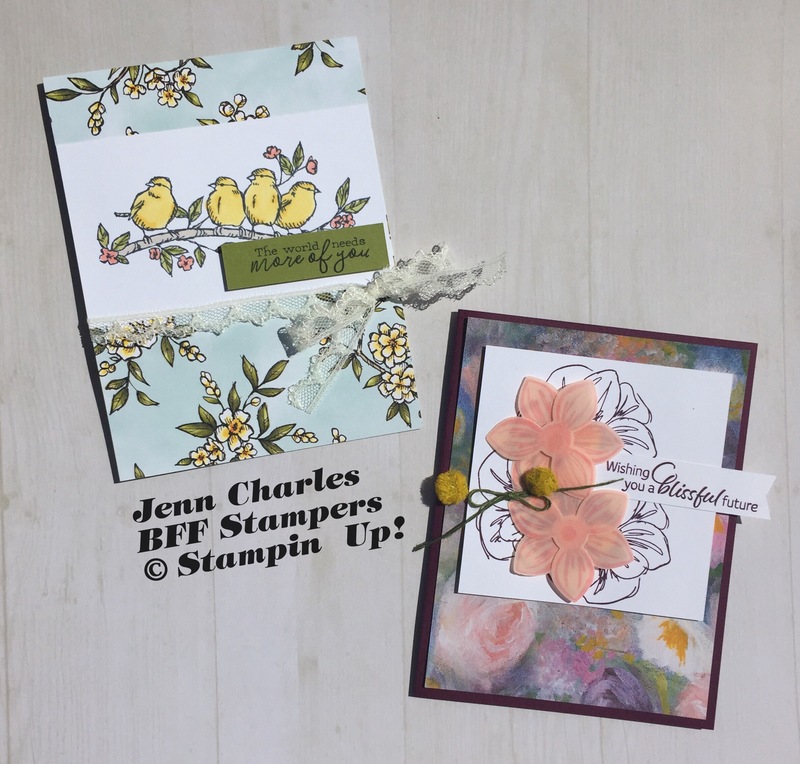 Welcome to another round of the Stamp N’ Hop Blog Hop! This month our theme is ALL ABOUT THE GIRLS! 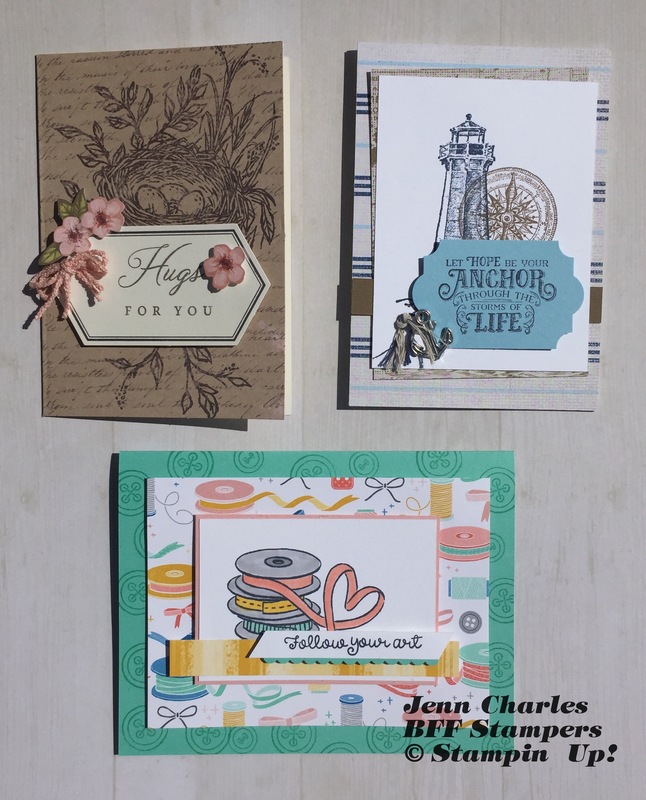 I’ve gotta say that girl cards are almost the only thing I make around here. A real challenge for me would be a Manly card. I can’t make one of those to save my life! 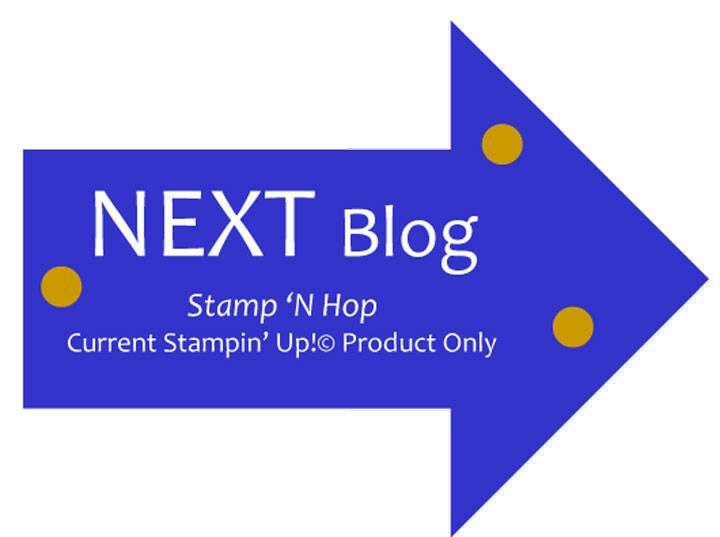 When this blog hop goes live I will be up in the air flying to Utah for OnStage. 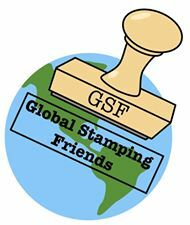 OnStage is Stampin’ Up!’s version of convention where all of us demonstators get together in remote locations around the globe and see and learn all new stuff! I am so excited! 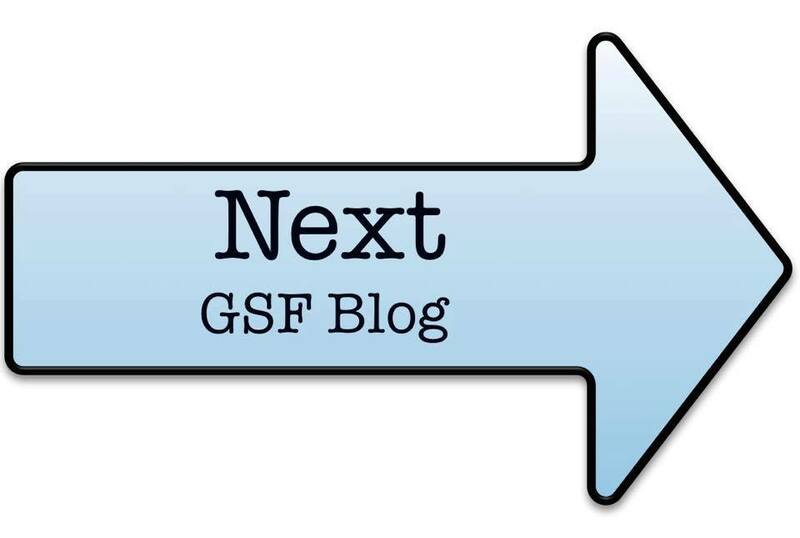 I will have lots of fun stuff to share with you when I get back. 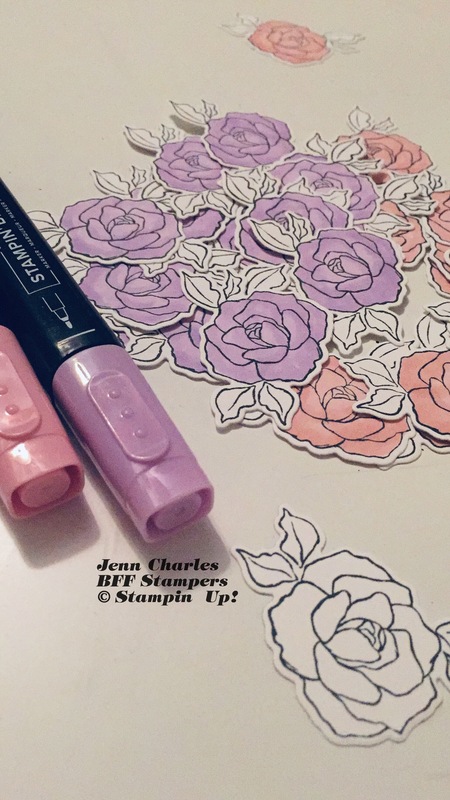 You can follow along on my Instagram page @bffstampers to see some sneak peeks! 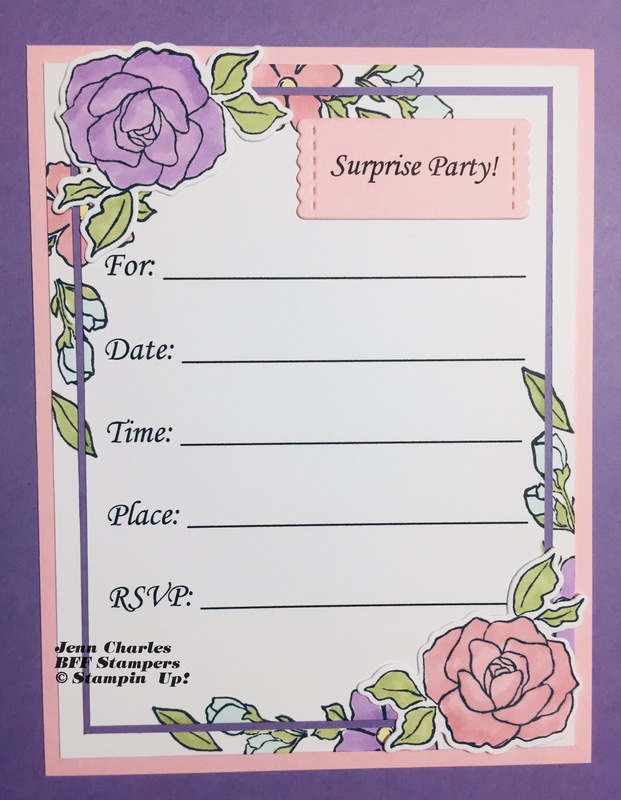 My friend asked me to make some invitations for a Surprise Party she was having for her mom’s birthday. She said she likes purples and pinks. Perfectly girly in my opinion 🙂 What do you think? I printed all the words. 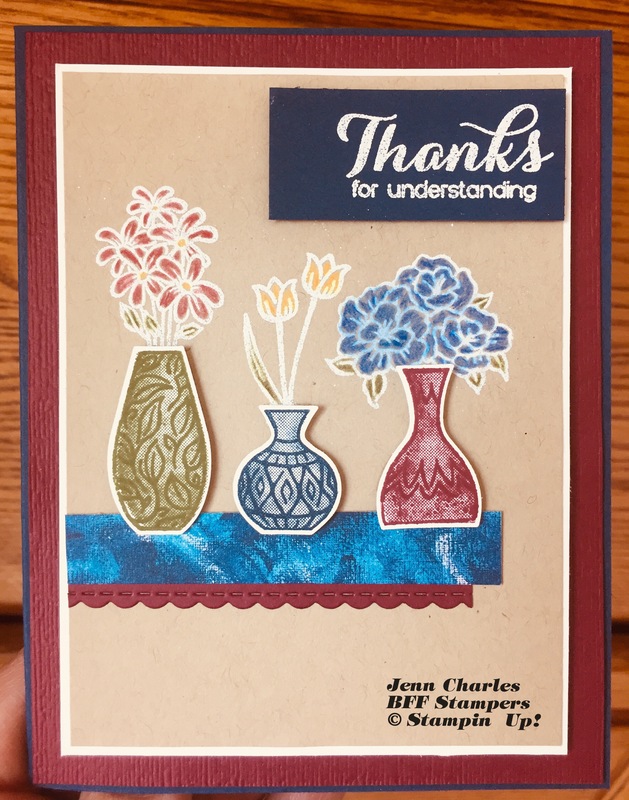 Thank you so much for joining us this month. Next up is Pia Gerhardt. 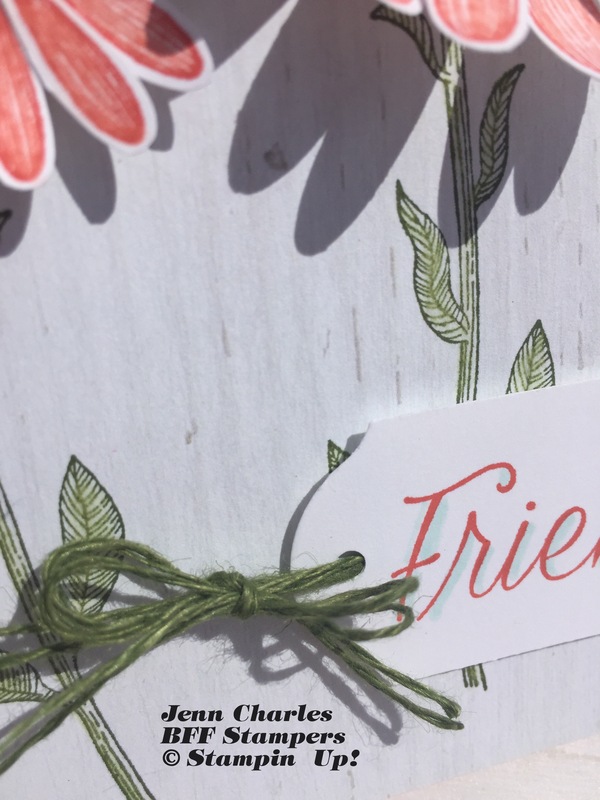 Hop along to everyone to get all the girly inspiration. 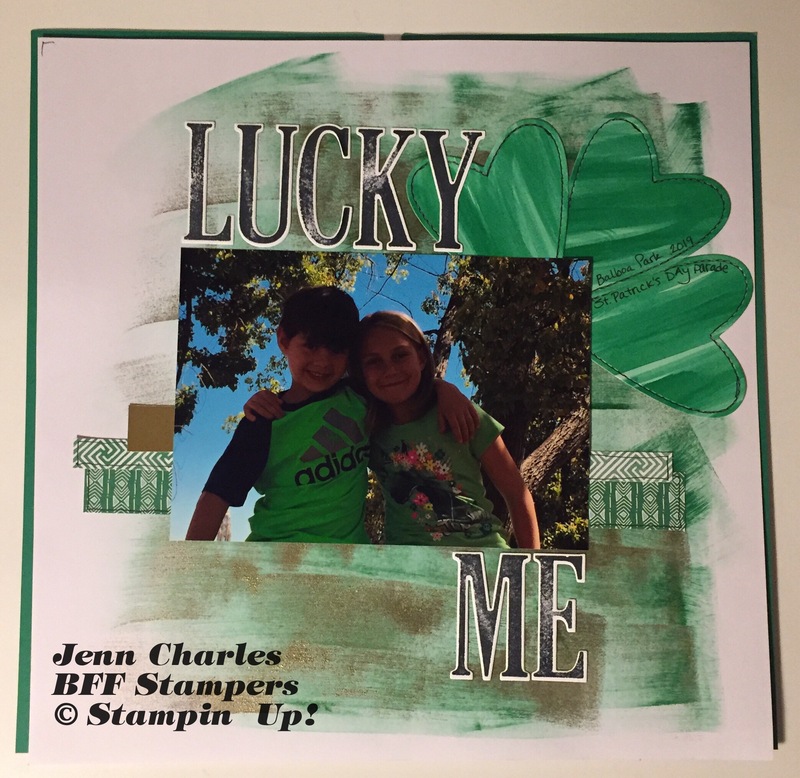 Thank you for joining us this month to inspire you to use Mixed Media in your scrapbooking. 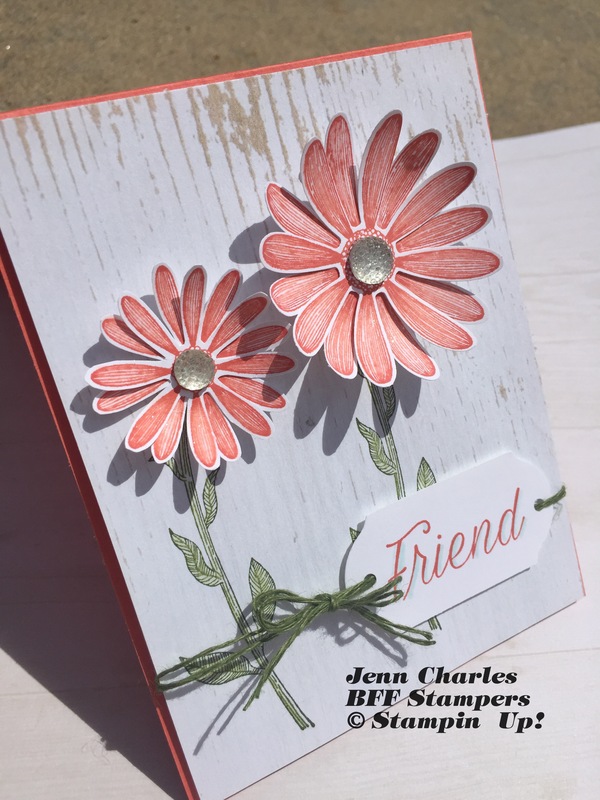 You are visiting Jenn Charles. 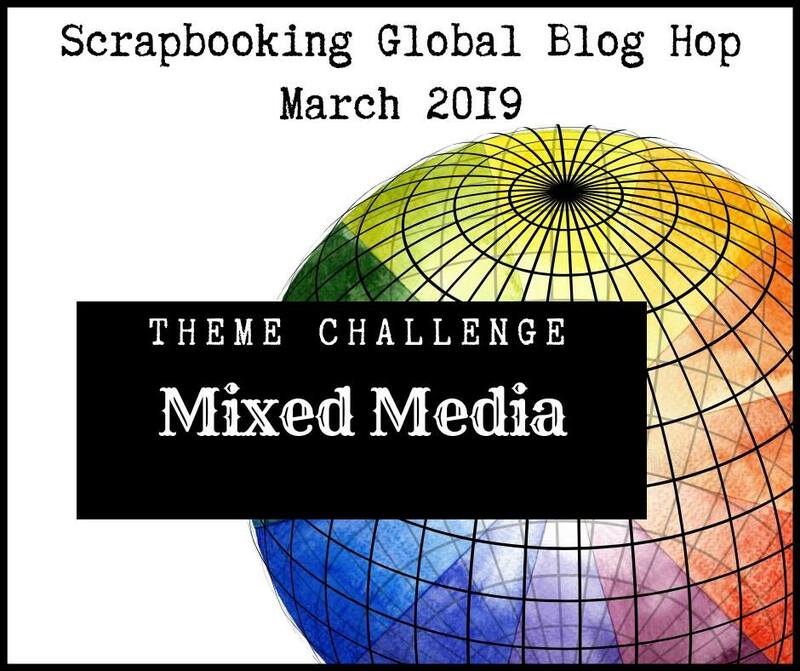 Thanks again for joining us this month of the Scrapbooking Global Blog Hop. Up next is Libby Dyson.